Meet the EmojiScience Table of Experiments. 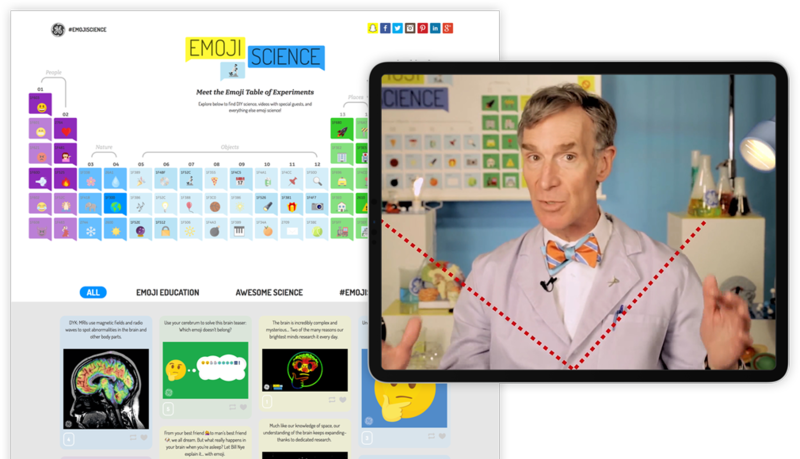 We partnered with GE to help them bring their EmojiScience campaign to life. By turning GE’s assets into a fully animated and interactive demonstration about light, electricity, and about how GE powers the world, we were able to engage with children all over the globe and bring classroom level learning into their homes. 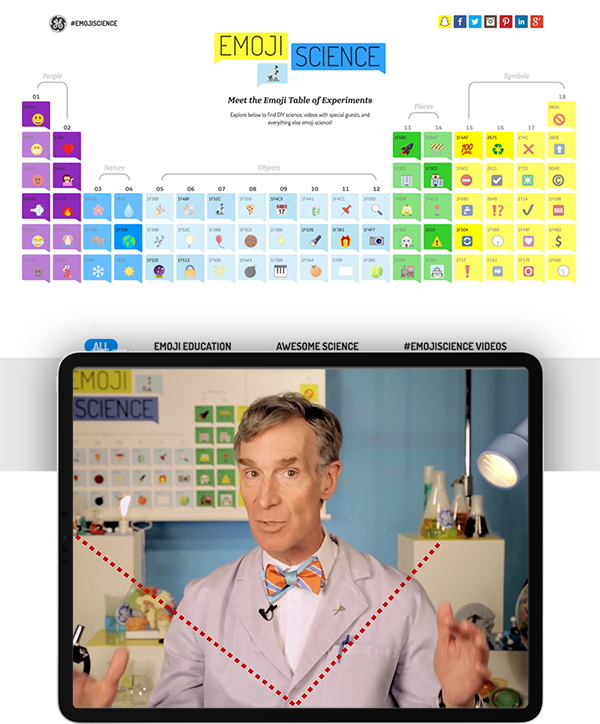 Next Level Bonus: Bill Nye the Science Guy jumped in for some holograms videos. That’s why we love our WORK!